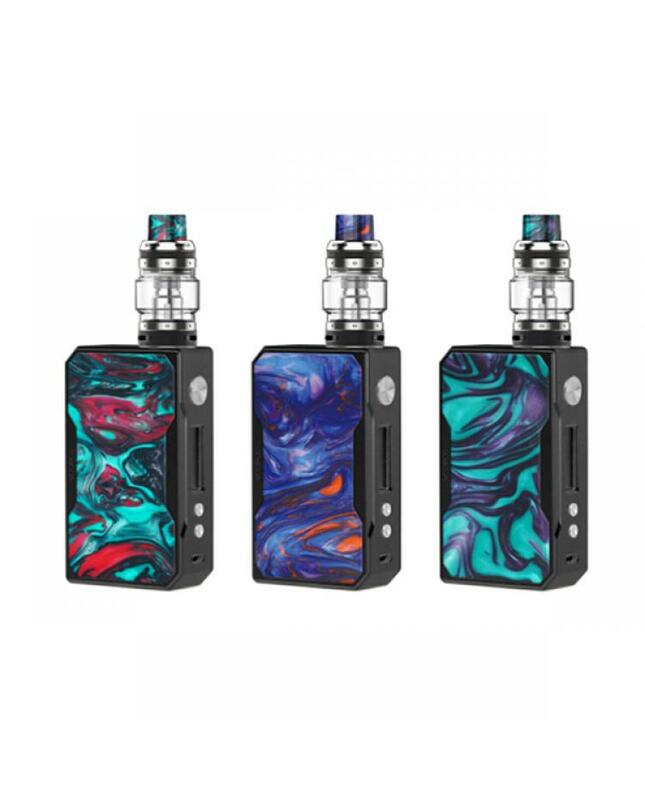 The voopoo black drag 157W vape kit, which is the marriage of black zinc alloy and colorful resin materials, it includes black drag vape mod and uforce T1 tank. the black drag mod has 5 colors available, with upgraded eco-friendly color resin plate and drip looks fashionable and amazing. the new voopoo mod powered by dual 18650 batteries and max output 157watts, vapers can select the different working modes, especially the pioneer super mode, which will work under 130W to 157W power range with the atomizer of 0.1ohm to 0.3ohm, will bring you much strong hit. the new voopoo drag mod built-in upgraded gene fan chipset, which is faster, more stable and safer. eight security protections to ensure the vape safe and reliable. the voopoo ufroce T1 tank can hold max 8ml e juice, convenient top refill, and bottom airflow adjustable designs, comes with ufroce U2 dual 0.4ohm coil heads, will send you the larger cloud and unrivaled flavor.